Wanted to buy a decent pair of binoculars for a safari trip to South Africa, did a lot of research and finally settled on these. We were not disappointed. Prompt delivery and well packed. These are the first binoculars I have used that give me a razor sharp single image whilst wearing my glasses, had no problems adjusting or focusing them. Took them to our local RSPB reserve for a trial run and both my wife and I were extremely impressed with how well they performed. Well worth the money. Have just returned from Costa Rica where I tested my new binoculars. They are fab so pleased with them was able to see high up in to the rainforest and view beautiful birds. Bought these for my own general use. I find them very comfortable and easy to hold and manipulate. The image clarity is excellent as is the brightness. 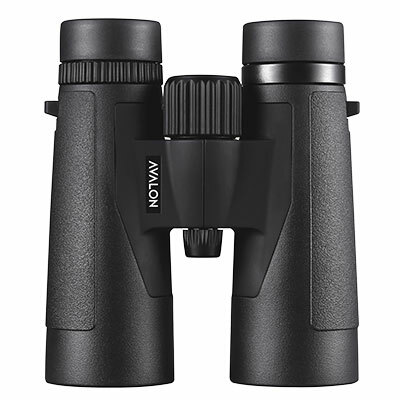 Compact and lightweight pair of quality binoculars with sharp powerful lenses . Very well made and well worth the money at that price . Really good, compact,smart and easy to use once you have them set up. The attached lens covers are marvellous and the eye covers are in one piece so more more losing one! Focus is excellent. Very good value. Excellent binoculars for the price. Easy to use straight out of the box. Crystal-clear view and lightweight to carry. Ordered and received promptly. RECOMMENDED PURCHASE. Wanted these for my wife’s birthday. She is a keen bird-watcher. Clarity is great and the compact lightness enables steady viewing. 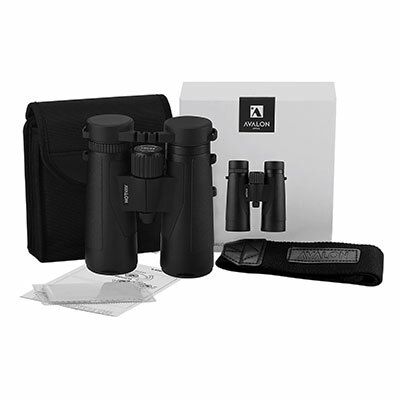 We have had other binoculars but find the Avalon 10×42 binoculars to be ideal for bird-watching and all round viewing. My wife is “wrapped” with my gift. Bought these as a present for my wife after much research. They are lightweight, powerful, strong and easy to use. Would recommend unreservedly. Excellent quality and vision, nicely engineered product. I bought these after researching on web. I am very pleased with them. I needed a pair of binoculars for bird and wildlife spotting that were comfortable to use, these fit the bill perfectly. They even cope well with my eyesight (myopia, astigmatism and double vision.. :)) . Would recommend as a sturdy, well built binocular with sharp image. Just one niggle, not to do with the item, but it was concerning that the courier delivered the item with the outer packaging in a shoddy state; the box with the binoculars was ok, but I would suggest the company consider maybe making the outer packaging sturdier or changing courier.. I note from another review a customer had a similar experience with the same courier company.. I am really pleased with my Avalon binoculars. Although when delivered the packaging was wet, which worried me slightly. However, when I got them out the packaging, the box inside was ok. The binoculars themselves feel like a quality item. 3 lens protectors for both ends that stay attached. If it wasn’t for the state of the packaging upon delivery, I would give these binoculars a 5 out of 5 rating. Oh, and I like the fact that I can keep my glasses on while using them. I would recommend this item but come on Avalon optics, get your storage situation sorted out! I purchased these binoculars as a present for my granddaughter. I am very pleased with them and my granddaughter is also. She wanted them for bird watching and for star gazing. So far she has not been able to use them for the stars but has found them to be fine for bird watching. I was keen to find a pair of binoculars to cover both subjects at a reasonable weight. I am confident they will prove to be fine for both her needs once the weather allows good clear night skies. Nice binoculars, fairly lightweight so easy to carry around. At the moment I’ve only used to view the birds in my garden and I’m pleased with the way they perform. All in all they are very good binoculars for the price. I am pleased with my purchase, and also the environmentally friendly packaging (shredded paper, none of that awful polystyrene!) They are a bit heavier than my old pair, but not enough to spoil my using them. The controls are easy to use and the focus is good. Just as it says “on the box”. Happy with these bino’s , clarity of lenses is up there with more expensive brands, focus ring is smooth and precise, eye cups work great with or without glasses on. All round really good quality at a fair price. I already owned 6 pairs of binoculars before buying this one, ranging from £50 or so to over £100. Cheap doesn’t necessarily mean rubbish, however the more expensive ones offer better vision in poor viewing conditions, i.e. humid places, darkish, dampish locations, cold mornings, dusk, etc. I have binoculars that are good for distant viewing but require a tripod and are hopeless at moving targets. The Avalon 10×42 is light enough to carrying around for general usage and my not so steady hands … quite easy to fix on moving targets. Exactly as described, cant fault them in any way ! Great pair of binoculars at a great price. Easy to use and lightweight they will be great for taking on walks and bird spotting. Customer service was outstanding too – first pair to arrive were faulty and following emails/messaging to Avalon, within 24 hours a new pair were winging their way to me. Cannot fault this response. At this price I was more than happy. They are relatively light , well made and the view through them is clear and precise. I am more than happy with them. Not too large, lightweight, and I find it small enough to carry in my small backpack without compromising the space in the pack for other things, clarity is very good compared to other binoculars that I had. Great quality binoculars at a very competitive price. Light weight and comfortable to use., and easy to set diopter focus. Rapid delivery. Easy to focus, and will focus down to about 10 feet, which is helpful in the garden. Feel very solid and well made. Wouldn’t hesitate to recommend to others. Great price for the quality of these binoculars. Delivery was very quick, and instructions more than adequate. Setting up focus was very straightforward, and they are light and comfortable in use. I have only used budget (sub £50) binoculars previously, and was amazed at the clarity of the image. I was also pleased that they focus down to about 10 feet, which is helpful for watching birds in the garden. Overall these binoculars are excellent value for money, and I would have no hesitation in recommending them to others. Not having too much idea what I needed to look for when buying binoculars I Googled the question and your company came up, amazingly a British company still based here in Britain. Having read your article, and a few more from other sellers, I decided on the ones you seemed to indicate would suit my requirements, the price seemed very good and the delivery arrangements were excellent. When the binoculars arrived I was most impressed with the initial presentation and the quality of the packaging, and after trying the product I can only say, brilliant. Thank you for a good experience from a British company. i needed new binoculars as i now wear glasses and this was difficult with my old bins. the difference is fantastic, nice and light good clarity especially when the light is not good.value for money. Just what I was looking for; a nice light pair of bino’s for when I’m travelling, with good performance. Just got these and so far so good! The markings could do with being a bit clearer, as well as the instructions which are a bit cheap! Really decent binoculars for the price. Like a lot of Ornithologists I always went for names like Kowa and Opticron. Both made in Japan. 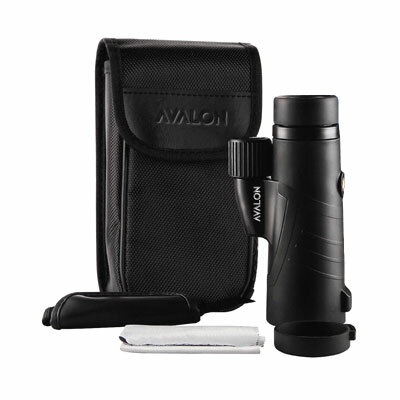 Avalon have all the accessories you expect to find on more pricey binoculars. I like the soft feel, the thumb grips, the attached lens caps ( which can be replaced if lost) and really good quality carrying strap. 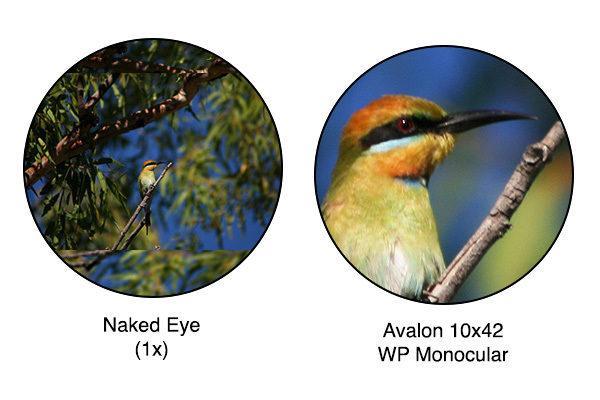 My only gripe is the centre focus wheel has too much travel before you get sharp images of woodland birds. Time you get it in focus it usually has flown off! Would like to know more about the company and where they are made etc. I am convinced in the near future Avalon will be as widely known as Leica or Zeiss. Excellent customer service! One of the extending eye pieces did not stay in position when pulled out. I emailed Avalonoptics on Monday; a new replacement pair arrived Tuesday! I chose Avalon binoculars to replace a pair of other branded bin’s stolen from my car. First impressions are favourable and the general ease of use and accurate adjustments appear far superior to previous binoculars I’ve owned. Bought them for birdwatching and although I haven’t had a chance to try them out on an outing yet, I have been able to test them out on the trees around my home and I can say that they are easy to handle and once you adjust the settings, the views are crisp and clear. 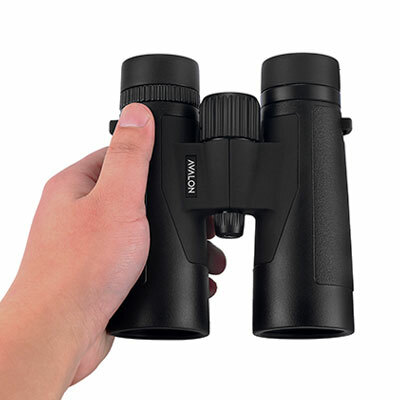 Great value for these compact and clear binoculars. Easy to adjust and ideal for my line of work (horse trainer), even in the dark. Compared to my Canon 7×50 binoculars from 1975, the Avalon 10×42 has of course greater magnification but poorer clarity. Thought i was going to have problems with these binoculars when i first tried them indoors. Took them out the next day to field test them properly. Was very pleased with them , nice and compact and not too heavy, easy to adjust to suit eyes width and focused easily and smoothly too , these are very good quality binoculars and i am very glad that i bought them. I would recommend these binoculars to anyone. Lens covers are good and are attached to the binoculars and also to the binoculars neck strap , making them impossible too lose. Very good quality strong neck strap with plenty length for adjustment. My one minor gripe concerned the binocular Case/Pouch which was a little tight when trying to close the case with the binoculars inside. Apart from that these are excellent binoculars and are value for money. Bought them to watch cricket at Old Trafford, cant test them properly till the season starts in April, but initial tests outside are very good. Good value, just hope they live up to my expectations. Bought them for watching cricket at Trent Bridge. Not cricket season yet for proper testing. But looking at the moon and others views from my home I am pleased with what I see from them. Thank you. The price is considerably less then the brand names so I was skeptical of the claims made by the company. We just want to be able to watch the duck on our pond and do a little bird watching. The binoculars are great with clear views and excellent details. They are light weight and easy to use. The carrying case and strap are a little cheap but they work well. Even if I lose them I can buy another pair and still be less cost than the competition. 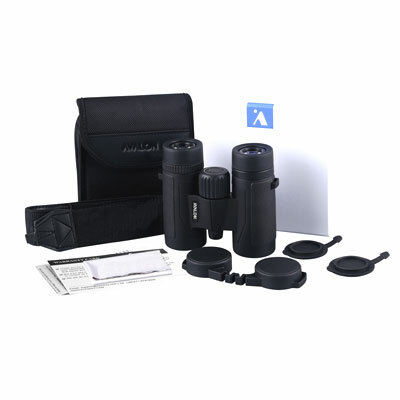 I would recommend them to anyone who wants binoculars but is not a fanatic. For the average user these are much more affordable and work well. 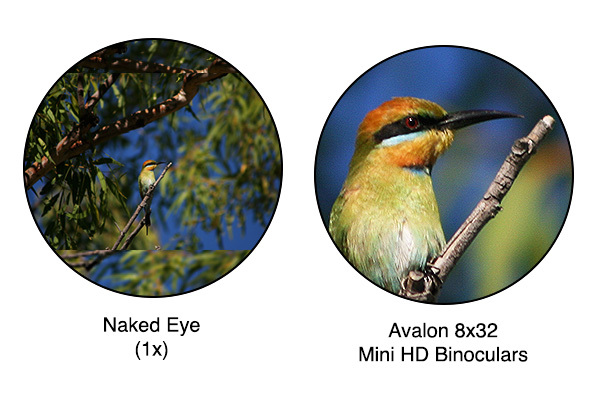 As expected, the lenses and the binocular itself are of excellent quality. It was a Christmas present for my husband, he is very happy. Service and delivery was excellent too! Very pleased with your product. Looking forward to watching the wildlife in our new house in the forest. Very impressed, bought for a Christmas present so have just tried them out. They are weighty but not too heavy. Feel good quality. Very happy with the magnification. As for delivery, couldn’t fault it at all. Overall, very happy and will recommend. Fast delivery and very pleased with the binoculars. They are light, easy to adjust and provide a clear image when observing birds and other wildlife. Good value. Clear vision field, excellent for scouring mountains in search for wandering sheep. Lovely binoculars, great Christmas present for my husband. Excellent quality optics. Good clear field of view, easily adjusted, lightweight and amazing value. Spent a long time researching and eventually settled on these for quality and value. Not regretted it. Really pleased with these binoculars! Only used them once so far but they are so clear giving lots of detail. Had various new pairs of binoculars both cheap and expensive over the years due to bu,ping, dropping and loss. Tried other binoculars before choosing these. Clarity is brilliant and great over long distances. Easily adjustable between my husbands long sightedness and my short sightedness. Comfortable feel in the hands, light to carry . Tried the new binoculars on our property and they are very good. Able to identify livestock and wildlife from great distances. Better than the cheap pair that we use to have. (until they broke) New pair smaller and easier to carry around. Just tried these binoculars from my house but the clarity is brilliant. Very light compared to the ones i had and much sharper. First impressions suggest these are a really good buy. Looking forward to using them on my holidays. Quick delivery of a really great pair of binoculars. My husband loves them. Bought these to use on a safari. Had an old 8×40 bulky set from another brand which i didnt really care for and frankly never used. Now that i wear glasses i dont care for binoculars at all BUT these were really fantastic. The images were crystal clear and for safari biewing they were truly percect. A friend used them and bought a pair himself mid safari. Love them! If you are like me, you are trawling the internet in search of an affordable pair of binoculars. I found this pair and read all the reviews on this website and on Procular and was so impressed I decided to purchase them. I cannot say how happy I am with the purchase! The image is crystal clear, they are so easy to use and can be used from a distance of 3m. They are really a great pair of binoculars. The low price is just a bonus. Very good binoculars for the price. Fast delivery and a quality product. Very happy. Binoculars are very impressive. Nice size and weight with excellent optics. I found that these binoculars ticked all the boxes for me in respect of being a good price, fairly lightweight and a compact sized unit. The lenses themselves have, on early testing, provided really great sharp images. My intention is to use them for wildlife spotting and landscapes. I feel sure that these binoculars will do an excellent job, so I am well satisfied. Thanks Avalon for mailing them promptly, and giving excellent service all round. Great around Binoculars at a very reasonable price. Have used then in Ireland over past month for bird watching and general viewing and happy with results. 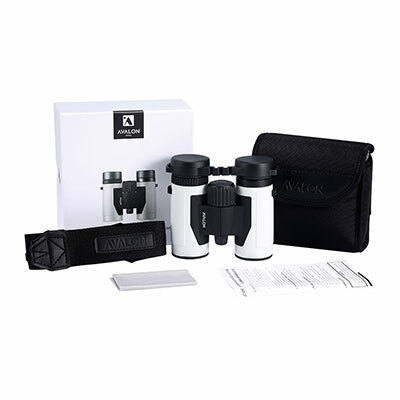 Recommended as great alround binoculars. Great, especially for the price! They are bright and clear, if a little blurry at further focus levels. An awesome edition to my birding gear, and I am very much looking forward to taking them on bush walks and holidays. I bought the Mini HD first, and within a week my wife had basically claimed them as their own. So I got the Pro HD shortly after, and I couldn’t be happier. They’re both great for whale watching, boat watching in the harbor, and even full moon watching. The Pro HD are still light enough to held with one hand, although my wife prefers the Mini HD, and she doesn’t mind giving up the 2X difference. These binoculars are excellent. Very sharp and clear. Overall, I am very satisfied with these binoculars. The optical image is bright and sharp – which is clearly the key starting point. I tested them against my Tasco 10×50 Porro Prism binos (admittedly now 20 years old but in excellent condition) and these are brighter despite the smaller objective lens. 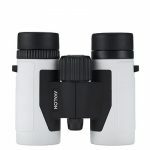 They are light weight and reasonably compact, given the image quality and magnification. The attached objective lens caps work well. The eye piece caps a little less so for me, as I use a tripod adaptor for carrying, rather than a strap (which the cap is designed to hang off). The materials make it very grippy, which will be good in adverse weather. The focus adjustment requires quite a bit of turn to go from close distance to far, but the plus side is it offers excellent fine-tuning focus adjustment. I did not measure if the 3m minimum focus distance is completely accurate, but I can confirm that it does focus quite close (especially compared to my 10×50). On the slightly negative side:one of the twisting eye cups is too stiff to get to the most outward position. Additionally, it can also be a little difficult to get the eye accurately aligned for a completely clear image – it seems to need to be very precisely in position. Perhaps this will just be a case of getting used to the new ergonomics. The binoculars are fantastic! They are well built and have a sharp bright image. Great value for money. I would also compliment Avalon on the fast efficient delivery and effective communication. I ordered a pair of Avalon 10×42 PRO HD binoculars over the Easter long weekend and received them a couple of days later. The website information, ordering process and delivery speed is very impressive! I tested the binoculars out in the back yard and found setting it up very easy. The clarity, depth of field and ease of use is already impressive! The weight is also light considering how powerful these binoculars seem and my eyes felt very comfortable. The size is also comfortable and easy to handle. The carry bag is a handsome and compact although side pockets might be a useful addition to future versions. These are my first ever pair of binoculars and I am very much looking forward to exploring the world around me with them! 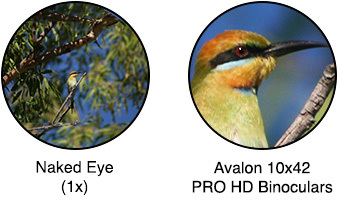 Thank you, Avalon Optics, for such a great, easy to use product – and a very affordable price! I have only used these new binoculars for NASCAR and they were perfect for that. I purchased them for my wife for our safari because the are smaller and lighter than the pair I own. We may have to trade off with this pair since they were so good. I could be a bit biased having only owned horse racing kind of binoculars but I’m very happy with that new pair that I had for 3 months. Really good and sharp viewing. Looking forward to my holidays in West Canada in a couple of months.. The first pair of binoculars I have actually been able to see birds while wearing my glasses. These are perfect . Thank you. Love these. Perfect for bird watching. Perfect size. Easy to use. Easy to carry. Love the binoculars. They cover all that I want them to do and are so easy to use. Very impressed with the updates on exactly where the package was in its travels and final notification that they had been delivered. Thank you for a great product and excellent service. More than adequate for primary use which is bird finding. Compact and light. We are yet to use these for holiday purposes, but we have tried them out at home and they are easy to use with good vision. Lightweight, which will be good for our purposes. Excellent delivery times. We are actually planning on buying a second pair, so that we don’t have to share! I purchased these as my first own pair for bird watching, after always borrowing binoculars from much more experienced twitchers. They are perfect – extremely light weight and so compact that I carry them with me in my handbag in my day-to-day. They provide an exquisitely clear view. They arrived quickly and beautifully packaged, were easy to ‘set up’ and the carry bag has a very convenient belt loop. All of this for an excellent price. Great customer service, well packaged and prompt delivery. Binoculars are great price and are ideal for my intended use. Highly recommended. excellent customer service. binoculars received as xmas gift so too soon for proper review. easy focus nice clear viewing quality feel. My wife is a birder and had Nikon binoculars for several years until she lost them. We decided to try the Avalon brand this time and she is very pleased. She feels they are every bit the equal of the Nikons at a much lower price. I bought the 10 X 42 binos for hunting and found them to be very good. They certainly compare favourably against the more expensive versions that I have tried. The service offered to me by the team at Avalon optics was first class and could not be faulted. I would sincerely recommend this product to other hunters who were like me “lost in the minefield of what brand to purchase”. The Avalon binos do work a treat and the only thing negative I have is that I did lose a lens cover so just check yours before venturing out into the bush and make sure that they firmly attached. I have no problems recommending this product to other hunters. The binoculars are exactly as advertised. I couldn’t be more satisfied with them. Highly recommended. These binoculars are brilliant. My old ones are about twenty years old and getting shaky so I decided to update. So happy! One word terrific. 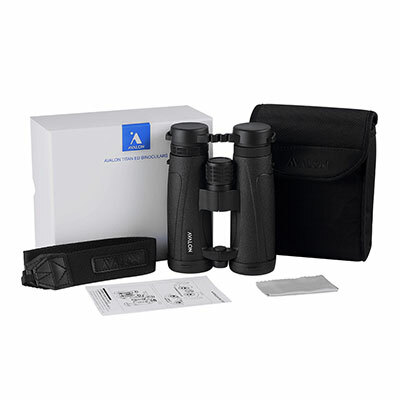 The Avalon 10×42 PRO HD Binoculars (BLACK) have lived up to all expectations as indicated by the extensive reviews offered by other owners of these terrific binoculars, this influenced me to buy them. They certainly enhance all images with wonderful clarity. My wife and I have used small Nikon binoculars for many years to study the birdlife at home and wherever we travelled around parts of Australia, but they do not come anywhere near the Avalon 10×42 PRO HD Binoculars. I most certainly will recommend them to others. New binoculars are great. Clear and light weight. Able to see all that we need. Recommend to anyone else. I compared a lot of products on line and in stores. These are almost 1/2 the weight and cost of any comparable binoculars. I just got back from a 1 week trip to Maui where they got the ultimate test of sand, beach salt water spray and rain in the mountains. At the end of the each day I used a can of compressed air for keyboard cleaning to blow the sand out. Some reviews complained about the case only having a belt loop as the straps attach to the binoculars. I didn’t find this a problem as the lens covers front and back stay firmly in place and are attached in the front and to the strap in the back so they don’t get lost. I would highly recommend these binoculars. I have been monitoring these glasses to purchase for some time. Now that I have a pair, I must say they are really great. They are truly worth the money spent! When I take our Alaskan Trip I will put them through further test (cold weather). If you are planning on purchasing a pair, you won’t go wrong. Excellent binoculars at a great price; very happy. Bought these for a 6 week driving tour of New Zealand in early 2018. They arrived promptly and in perfect condition. After only a short time trying them out, i think they will be everything i want. Excellent value. Nice and light weight and the optics seem to be excellent. They are distinctly brighter than my existing Bushnell binocs. Purchased for wildlife viewing and very happy with them. Bought as a present for my husband. 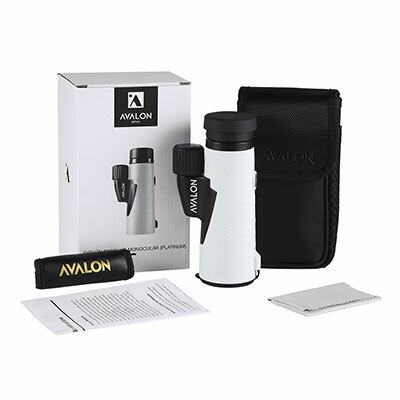 He is thrilled with the quality of the binoculars and I was thrilled with the service Avalon provided! I am really pleased with these binoculars, the great service and speedy delivery. Highly recommend. Great product and great service. My wife and I have used our Avalon 10×42 PRO HD a number of times now and they are just what the Doctor ordered for our needs. We have used them for looking at wildlife from a distance and find them very bright, crisp and clear. Thank you for the great service. I purchased my (10×42 Pro HD) for bird watching and have only had them for a week and for the first time I can successfully focus on small birds and successfully identify them now. These are a great choice as the focus is very sharp and clear at any distance. Highly recommend them. Thank you. Delighted, everything you said they would be and more. practical size, great clear vision, well presented, great value for money. I see much more detailing on the birds in my garden, wonderful. Many thanks. The best binoculars I have used the view is unbelievabl . Being disabled I sit outside mostly watching the planes which I can track on my IPad. I have a son who is a game keeper so I will most likely but him the same. Love these binoculars!! Easy grip, nice weight, and wonderful optics!!! Easy to adjust! Looking forward to using them on a cruise. Easy to use, clear sharp image at any distance. The light weight is exactly why we bought them as we plan to travel overseas with them. Looking forward to using them on safari in Africa. Excellent product and company to deal with. Highly recommended! Bought them for my husband for Father’s Day and he is very happy with them. Great service by Avalon Optics. The quality and balance of the Avalon Pro HD is exceptionally good. Only used a couple of times but no complaints. The binoculars justify their description. They handle nicely, vision is crystal clear and I see no aberrations The service from Avalon is exceptional. My order arrived, well packed, excellent condition, but they had an image problem. Within two days of advising Avalon, a replacement pair were delivered. Needless to say I appreciated the no fuss, no conditions, prompt supply of an excellent pair of binoculars. Early days but they seem just fine. Very clear, nice in the hand and great price. Love the light weight and quality. Great price as well. After doing my research,I settled on Avalon10x42. Meets all my expectations. Perform according to all stated specifications.Very Satisfied. I have only had my Avalon 10×42 binoculars for a couple of days, but so far very happy. The vision is very sharp and they are comfortable to use. Great optics,use for hunting and wild fowling very good in low light conditions,well constructed and light better than my teloscopic sight,price and delivery first class. Honestly I was quite amazed when I looked out them picture clear & crisp. I would highly recommend. The binoculars are really good. My 11 year old son is very happy using the binoculars every day outside the house and in the park. He is slowly developing an interest in bird watching. I purchased these binoculars as a gift for my wife. She loves them! They are light weight and easy to use. We no longer fight over the single pair of binoculars which was great today when we went whale watching. A quality product I will not hesitate to recommend to others. Thank you. We purchased two pair for our safari trip to Kenya and Tanzania. They were magic! Everything one could wish for. Incidentally our guides had binnoculars with the same specs very reassuring. Would highly recommend Avalon. THANK YOU. I think they will be great for my trip to Alaska, Canada , Sth America and finally Sth Africa. Can’t wait to use them for the wild life in those countries. They will be light enough for packing. I do have good ones but are too heavy for my holidays.Thank you for your prompt service. Would recommend you to all my friends and family. A lovely, stylish pair of light binoculars. Love the twist up eye caps instead of fold down ones. Vision is sharp and field of view is spot on. Wowowowowowowowowow. We have a pair of the Outpost binoculars and a monocular from Avalon and both are excellent, but these are something else entirely. Piun sharp, fantastic field of view, super light and easy to use, weather proof too… Absolutely love them to pieces. Happy with purchase. Neck strap starts to unravel. I had to tape the ends up to stop this. I use these binoculars for archery and find them excellent for Target and field shooting – overall very pleased with the performance and ease of use. Love them, beautiful binoculars. Very clear, crisp view. I have been watching insects hovering over my garden patch which I cannot see with naked eye. Will be taking them on all my travels. Just recieved my pair of 10×42 HD’s and wow! Dark rainy day here at the moment and the image though these binoculars is still so crisp and clear. Definitely recommended. 10×42 Pro LD were sent promptly and arrived promptly, have tried in low light conditions and give a clearer image than my old tasco brand, compact and value for money. Like nearly all Binoculars I still find them difficult to sight with my glasses on, however what appears to be a sharper image means I can still see better than i imagined without my specs on. I bought the 10×42 HD’s as a lighter alternative to my excellent 10×50 Pentax binoculars. It is a surprise as to how clear they are and what a wonderful job they do. They are an excellent, take anywhere or leave in the glove box pair of binoculars that I am sure will work well for many years. Delivery was excellent. I am thrilled to bits with my 10×42 binoculars…they are light enough, easy to setup and to adjust. Thank you for your speedy delivery. We bought a pair for our son-in-law, and were so impressed I just ordered another pair for my wife. I am very pleased with my 10×42 binoculars. They are so much easier to manage than my other one. Good fast delivery too. Thank you. Great product, easy to operate. 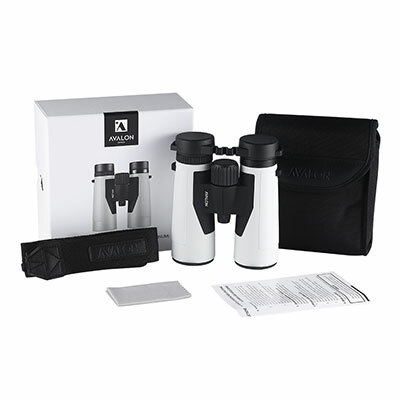 Great purchase, everything you can expect for this range of binoculars: great quality optics, lightweight and easy to carry and use at an unbeatable price too (I’ve been looking for a while!!). Didn’t have to ask for any service from Avalon since I’m very happy with the product but delivery was pretty fast. Definitely recommend it to anyone looking for the best value for money in this range. Having recently moved out of a major city into a small coastal community, surrounded by bush and wildlife, I decided to get binoculars to watch the kookaburras in particular and their antics. I followed the easy instructions to focus the lenses to my eyesight (with spectacles) and although I’m still learning to be still while using them, I’m enjoying them very much. The magnification is wonderful. Also, getting used to the weight of the binoculars around my neck (not heavy but noticeable) and looking forward to using them when I’m out and about exploring my new environment. Great price for a “proper” pair of binoculars. Very fast delivery. 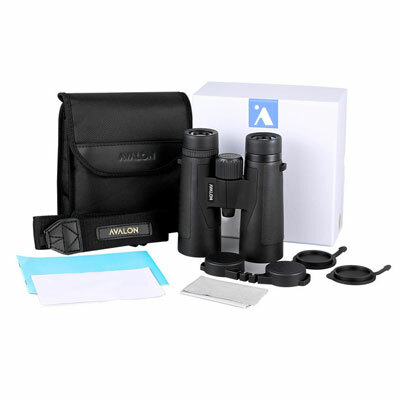 Fantastic product excellent value very pleased with purchase and fast and efficient service I highly recommend these binoculars many thanks Avalon. To find a company with quality product at a competitive price is hard. But went it is also backed up by first class customer care is a rarity. Do not hesitate to make a purchase, I would recommend the product (Avalon 10×42 PRO HD) and company. Order arrived promptly and well packed. Still testing however very pleased with new binoculars at this stage. Very clear and feel good in the hand. Have attached binoculars to a harness and easy to use. 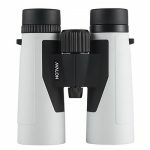 Generally have problems with binoculars due to need to wear glasses however the adjustable click/ screw eye piece are very good and has made the use of these binoculars with glasses a big bonus. Would recommend purchase. Purchased these for bird watching and have only given them a short trial. I have graduated lense spectacles and for the first time I can successfully focus on small birds. These were a great choice and at a great price and well packed for very smart delivery. Thanks heaps. Fantastic! Delivered in 3 days. Really high quality feel to them and great clarity. Excited to be taking these on safari. For the price, they really exceeded my expectations. The Avalon 10×42 bins are exactly what I wanted! Great price, too. Bought these for my husband for his birthday. Used your excellent website to work out these would be best – and you were right ? They are so easy to just pick up and use – great price, excellent view, sturdy and lightweight – everything you said they were. I purchased my set of Avalon Binoculars, 10×42 recently replacing a pair that was stolen from me. This pair is Absolutely Brilliant for me to work with. I bought a larger set 20×50 only to find I could not hold them still enough. I contacted Avalon and they advised me that I should try the 10×42 and they would exchange them for me. I could not be happier with the service I received from this company. Delivery was very prompt. Anyone needing a good set of Binoculars for Bird Watching I would hightly recommend these to them. I purchased 2 of these binoculars for our family safari. Traveling as a family of 4 adults we shared the found the binoculars just perfect for our needs. They were very clear, light weight, easy to use and adjust. The binoculars were great for zooming in to see animals in the distance but we also used them to zoom in on specific parts of an animal if it was close. For example we found it fascinating to zoom in on a lion’s moth as it was eating and drinking etc. The binoculars were very quick for us all to adjust in these circumstances. These were our first ever binoculars and we are now big fans! Highly recommend them. Avalon offers fast and free shipping on all orders and to anywhere within the UK. All our products are in stock and sent out directly to your designated address via a courier. Once you’ve placed an order online, it is dispatched either on the same or on the following business day. Please note that weekend orders are sent out on the following Monday. Avalon does not currently offer a pickup service, sorry. All orders are sent out directly from our warehouse. Delivery is fast and free, UK wide. All items sold on the Avalon Optics website are covered by a 90 days money back guarantee. If you’re not satisfied with the quality of your purchase, for any reason, simply send the item back to us in its original packaging within 90 days of its delivery. Any item purchased on the Avalon Optics website also includes a lifetime VIP warranty. This warranty is valid for the original consumer purchaser only. For warranty claims simply contact us. All you need to provide is your order number and billing email used when purchasing the item.